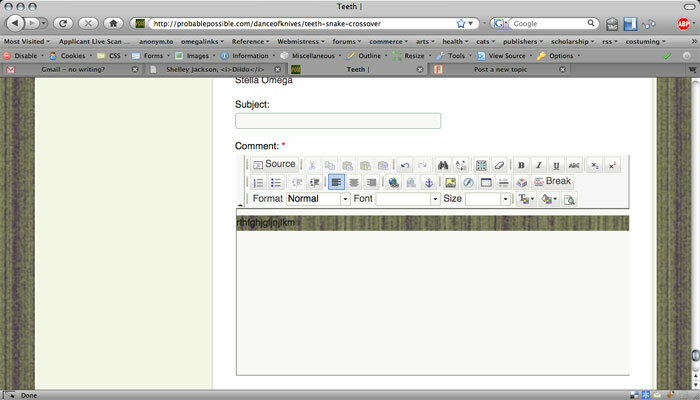 In my drupal 6x installation, the xeditorfield was showing my body background image. I added a background-color call to the css file. The wierd thing is the line of type-- is showing the body background image. If there are two lines of type, the background image is twice as high. What am I missing?